I discovered the works of the late Rozsika Parker by listening to a phenomenal presentation by Lisa Baraitser. This presentation blew me away and opened my eyes to the community of maternal scholars. I was feeling stuck in my attempts to outline a psychoanaytic theory of motherhood that didn’t throw out the mother with the bath water. Roszika Parker contributed with the most original and thorough model for understanding motherhood from a truly matricentric perspective (the mother’s inner world) within a psychoanalytic framework. 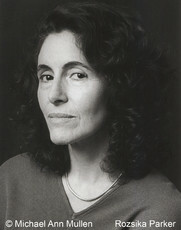 Parker advocated for using psychoanalytic theory in maternal studies with the argument that it holds unique explanatory potential regarding questions like maternal development, ambivalence, and subjectivity, but only if we “reframe, realign, and rewrite theory to illuminate this theme from a maternal perspective” (Parker, 1997, p. 18). Her re-reading, discussion, and development of psychoanalytic theory, combined with her qualitative research with mothers, offer an important critical approach to understanding Western motherhood discourses. I believe she rewrote and updated Kleinian theory into a feminist lens for maternal psychology. She demonstrated how valuable psychoanalytic theory (and practice and model of inquiry for that matter) is for understanding motherhood and maternal subjectivity – central themes of feminism. Besides from Parker’s original rewriting of psychoanalytic theory, she also did an amazing job of advocacy for mothers. Her writings are full of genuine concern and interest for mothers and their struggles. She wrote to give voice to the unspeakable maternal voices – the ambivalence and negative feelings of motherhood. If I should recommend one book for both mothers and scholars, it would be Parker’s book “Mother Love/Mother Hate”. I wish all mothers would read it. And how I wish she was still alive. Reference: Parker, R. (1997). The Production and Purposes of Maternal Ambivalence. Mothering and Ambivalence. Eds. Wendy Hollway and Brid Featherstone. London: Routledge.